An inviting view of the renowned hospitality offered at Thomas Jefferson's table. 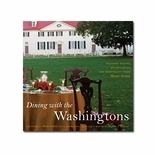 Ten essays discuss topics such as the groceries and wine imported from Europe, the recent kitchen restoration and the African Americans who participated in Monticello's rich food culture at every stage. 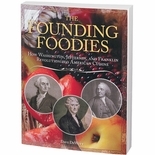 Seventy-five delicious recipes from Jefferson family manuscripts, updated by editor Damon Lee Fowler, are authentic to the period and accessible to today's home cook. Hardcover, 208 pages.